The summer months are drawing to a close and the autumn season is approaching. As you are planning your parent’s care routine for the rest of the year, one issue that you should not overlook is fall risk. They are the leading cause of serious injury among elderly adults. Falls affect more than one-quarter of the population of adults over the age of 64 throughout the United States each year. Millions of these, approximately 20 percent, result in severe injuries. In fact, 95 percent of hip fractures among this age group are caused by falls. As a family caregiver, you can help protect your parent’s quality of life, health, safety, and even longevity by making sure that your senior takes important steps to reduce the risk that they will suffer one of these serious accidents during their later years. * Head to the eye doctor and make sure that your parent’s glasses prescription is up to date. * Ensure that they have enough lighting throughout their home, especially in areas that could be potentially dangerous, such as on stairwells and in hallways with tight corners. * Install and tighten handrails and grab bars throughout the home, including on the porch, on stairwells, and in the bathroom. * Remove clutter from the house that might create obstacles in walkways throughout your parent’s home. * Eliminate furniture that is unstable, lightweight, or on wheels so that they do not move if your parent attempts to use them for stability as they are walking past. * Encourage your parent to stay physically active to strengthen their muscles and joints, and improve their balance. * Ensure your parent wears well-fitting, comfortable, supportive shoes that aid in a safe gait and do not trip or slip your parent. * Talk to your parent’s doctor about the medications that they take and determine if any of them might cause side effects that increase fall risk, such as dizziness or lightheadedness. Starting homecare for your aging parent can be one of the best decisions that you can make for them during the course of your caregiver journey with them. A homecare services provider can be in the home with your senior family member on a customized schedule that ensures that they get all the care, assistance, and support that they need, while also keeping you at the front of their care routine. You can feel confident that your loved one will be able to pursue a lifestyle that is safe, healthy, and comfortable while also maintaining as much independence and fulfillment as possible. 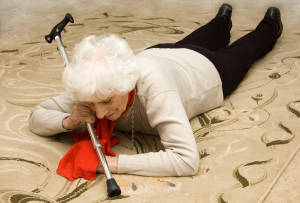 When it comes to protecting your parent from falls, this homecare provider can help to identify potential hazards in the home and their routine, and provide assistance and support during daily activities to address challenges and limitations so that they are able to avoid the potentially devastating consequences of these falls. For Homecare Services in Germantown TN, please contact the caring staff at Personal Care Services MidSouth today! This entry was posted in Homecare Germantown TN, Safety at Home and tagged Homecare Germantown TN. Bookmark the permalink.